Owen Bargreen of Washington Wine Blog mentions Woodinville Wine Country in Decanter Magazine’s January 2018 along with the URL and featured on the “My Seattle” map. The last paragraph mentions Woodinville, along with Long Shadows, DeLille Cellars, Chateau Set Michelle, Fidelitas, WT Vintners and Mark Ryan. The post My Seattle – Washington Wine Blog for Decanter Magazine appeared first on Woodinville Wine Country. 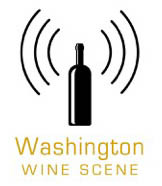 Washington red wine blends continue to grow in popularity and often make for interesting wines, sometime following in the footsteps of European winemakers. MARTINSBURG, W.Va. — None of the brick inside the historic downtown Martinsburg building that has been renovated for the new Brix 27 restaurant was visible when work began in May. Hello, and welcome to my periodic dig through the samples pile. I'm pleased to bring you the latest installment of Vinography Unboxed, where I highlight some of the better bottles that have crossed my doorstep recently. This week marks another sparkling edition of my samples tasting just in time for your New Years's shopping! Let's start this week with the most unusual bottle in the lineup which is a sparkling Pinot Blanc from the North Fork of Long Island that was held for a long time before release. Bright and airy, it's a lovely rendition of the Pinot Blanc grape and at $23, it's a steal. Also a bit unusual, not in its grape or source, but in its flavor, is the latest sparkling wine from Rollin Michael Soles, a pioneer of sparkling winemaking in Oregon. This, from his new project, is quite distinct in character, and tasty in its own savory way. Before we move on to the Champagne proper, let's not overlook the Adami single vineyard Prosecco from Col Credas which is grown on staggeringly steep vineyards in the Prosecco region. It's got much more personality than most Proseccos. Let's start our Champagne focus with Franck Bonville, a producer from the town of Avize in the Cote de Blancs region of Champagne. Their prestige Blanc de Blancs of Chardonnay has a bright floral quality that is very compelling, and at only $44 is on the lower end of what you'll spend for a Grand Cru Champagne. The Chassanay d'Arce bottling comes from the main cooperative winery in the Aube region of Champagne, where they buy grapes from all the local producers to make some pretty decent quality stuff. This "Confidence" bottling is among their top non-vintage wines. Finally there are a couple of wines in here from the tiny producer Remy Massin, also from the Aube region. This family run outfit, recently taken over by the younger generation is making very high quality wines. All these and more below. Enjoy. Pale gold in the glass with medium fine bubbles, this wine smells of apples, wet felt, and sea air. In the mouth, a coarse mousse delivers flavors of apple, pear, and bitter citrus across the palate, leaving a woody apple skin flavor in the finish. 12% alcohol. Score: around 8.5. Cost: $27. click to buy. Light gold in the glass with medium bubbles, this wine smells of ripe and baked apples. In the mouth, a soft mousse delivers notes of yeasty, toasty bread that give way to apple and citrus pith brightness and an airy finish. Great acidity and nice delicacy. 13.2% alcohol. Score: between 8.5 and 9. Cost: $23. click to buy. Light blonde in the glass with very fine bubbles, this wine smells of toasted sesame and pickled seaweed. In the mouth, a soft mousse rolls across the palate tasting of wet leaves, apples, sarsaparilla, and a hint of citrus pith. Unusual. Good acidity. A blend of 67% Pinot Noir and 33% Chardonnay. 12.5% alcohol. 200 cases produced. Score: around 8.5. Cost: $53. click to buy. Pale gold in the glass with very fine bubbles, this wine smells of butterscotch candy and white flowers. In the mouth, a velvety, voluminous mousse delivers a unique combination of butterscotch, pear, and vanilla into a long finish scented with a touch of camphor. Good acidity. 11% alcohol. Score: around 8.5. Cost: $23. click to buy. Pale gold in the glass with very fine bubbles, this wine smells of honeysuckle and pears. In the mouth, bright apple and pear flavors have a nice nutty biscuit quality. Nice and balanced, with equal parts of fruit and biscuity quality. A blend of at least two vintages.12.5% alcohol. Score: around 9. Cost: $44. click to buy. Pale gold in the glass with medium fine bubbles, this wine smells of apples and pears with a hint of vanilla. In the mouth a soft mousse delivers bright apple and pear flavors with a nice rounded quality to them and nice bright acidity and length with a slightly sweet finish. 45% Pinot Noir, 45% Pinot Meunier, 10% Chardonnay. 12.5% alcohol. Score: around 8.5. Cost: $39 click to buy. Light blonde in color with very fine bubbles, this wine smells of freshly baked bread with honey, marzipan, and cold cream. In the mouth, flavors of honeysuckle, sea air, wet stones, and pink grapefruit have a nice saltine cracker savoriness to them. A lightly bitter chalkiness lingers in the finish. Made from 50+ year-old vines. 12.5% alcohol. Score: around 8.5. Cost: $82 click to buy. Pale gold in the glass with medium fine bubbles, this wine smells of apples, pears, and wet stones. In the mouth, bright apple and asian pear flavors have a nice bright crispness to them. Round and bright. Juicy. 12.5% alcohol. Score: between 8.5 and 9. Cost: $55. click to buy. Pale blonde in the glass with fine bubbles, this wine smells of asian pear, white flowers, and green apples. In the mouth, green apple crispness mixes with asian pear, wet stones and pink grapefruit citrus crispness. Juicy and bright and very clean. 70% Pinot Noir, 30% Chardonnay. Score: between 9 and 9.5. Cost: $62. click to buy. Pale greenish gold in color with very fine bubbles, this wine smells of bright apples and pears with a hint of white peaches. In the mouth, flavors of white peaches, apples, and pears take on a citrus peel brightness in the finish mixed with green apples. Soft mousse. 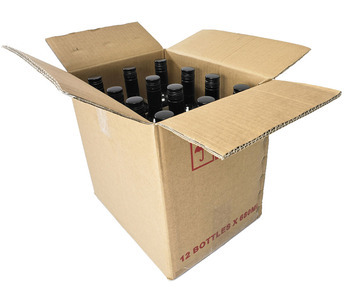 Contains one third each of Pinot Noir, Chardonnay, and Pinot Meunier. Ages for 4 years in bottle before release. 12.5% alcohol. Score: around 9. Cost: $40. click to buy. 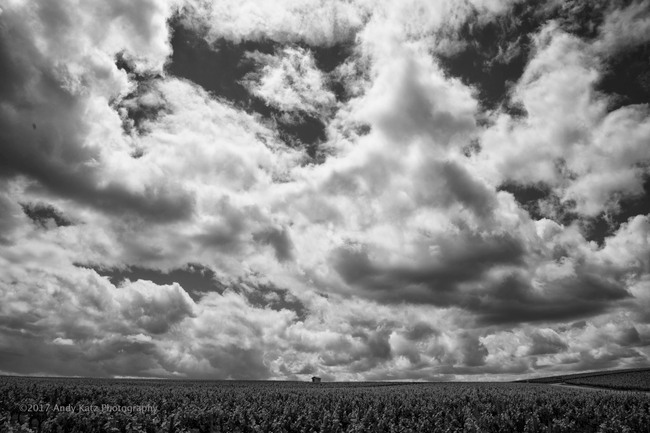 GIRONDE, FRANCE: Cumulus clouds hang across the wide expanse of sky above the vineyards of Chateau Ausone in Gironde on Bordeaux's Right Bank near Saint-Émilion. Ausone is one of only 4 wines classified as Premier Grand Cru Classé in the Saint-Émilion classification. Download this image by right-clicking on the image and selecting "save link as" or "save target as" and then select the desired location on your computer to save the image. Mac users can also just click the image to open the full size view and drag that to their desktops. To set the image as your desktop wallpaper, Mac users should follow these instructions, while PC users should follow these. This image is from a series of photographs captured by Andy Katz in the process of shooting his most recent work The Club of Nine, a visual exploration and celebration of Bordeaux's top Chateaux. The book is available for $60 on Andy's web site. If you are interested in owning an archive quality, limited edition print of this image please contact Andy directly. Vinography regularly features images by photographer Andy Katz for readers' personal use as desktop backgrounds or screen savers. We hope you enjoy them. Please respect the copyright on these images. These images are not to be reposted on any web site or blog without the express permission of the photographer. In NPR, April Fulton reports on recent studies about the size and sound of bubble size in sparkling wines. 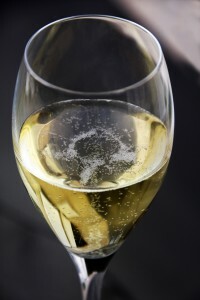 Patrick Comiskey asks L.A. wine professionals about their New Years Eve sparkling wine picks in the Los Angeles Times. In Wine Enthusiast, Anne Krebiehl MW highlights sparkling wines from around the world. Will natural wine make it into the mainstream? Punch asks a panel of wine writers, makers, sommeliers, retailers and importers what they think about the future of the natural wine movement. In the New York Times, Shivani Vora shares how to make the most of a trip to wine country. 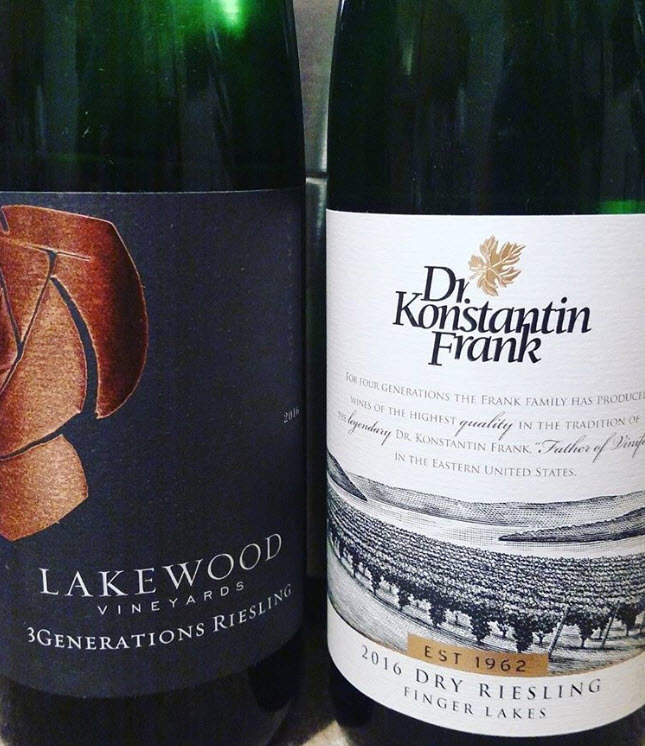 In the Washington Post, Dave McIntyre names the best 12 bargain bottles of the year. The most expensive is $16 a bottle and the cheapest is $8. Aaron Menenberg profiles six wine professionals that influenced his appreciation and knowledge of wine in 2017: Part 1, and Part 2 on Good Vitis. In Forbes, Thomas Pellechia considers which wine trends to watch in 2018. We’re off to the Empire State today for a host of wines, most of which hail from the Finger Lakes region. From Prosecco-inspired bubbles to Rieslings to Lemberger, these largely inexpensive wines offer a brief snapshot into the large, dynamic New York wine culture. 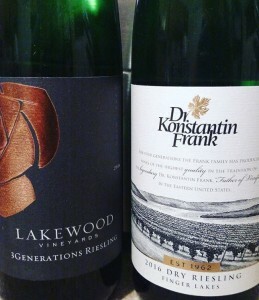 These wines were received as trade samples and tasted sighted.